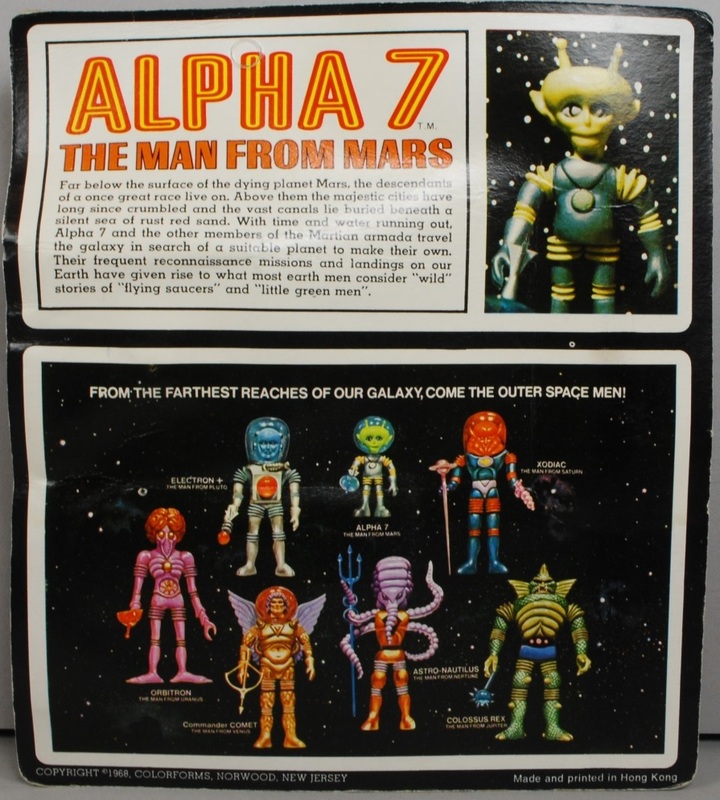 I somehow received a Man from Mars action figure in the mid-70s–maybe from a garage sale–though I had no idea there were other figures. I had the Colorforms set as well, and noticed the Man from Mars was in there, but never made the connection – I thought it was a coincidence. 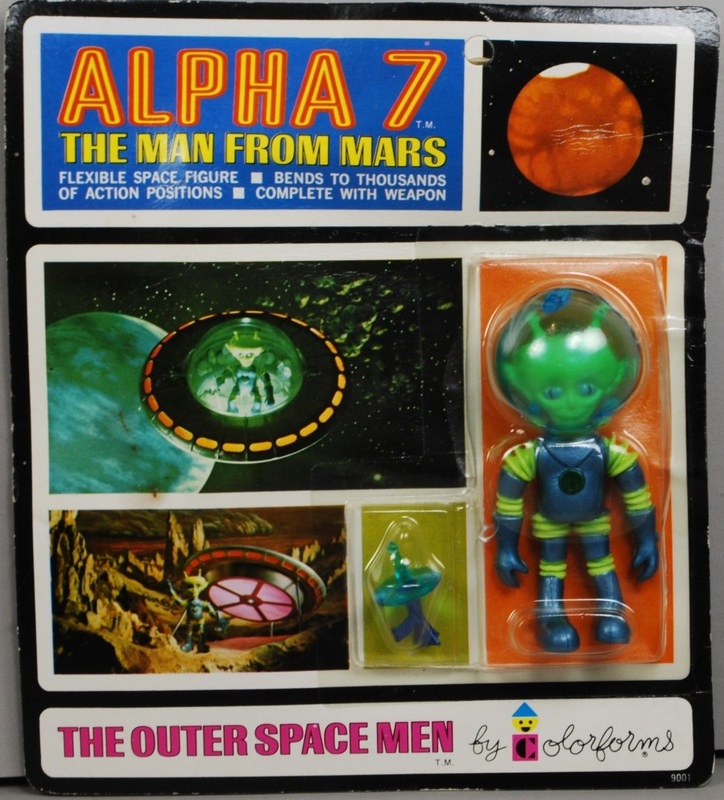 Until this blog revealed the secrets of the Outer Space Men (queue dramatic music).